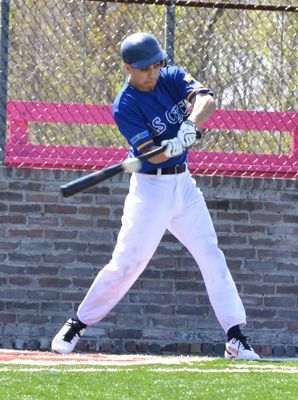 HOUSTON � Thursday afternoon�s Pecos Spring League opener was another pitcher�s duel, with Garden of Gears earning a 4-1 victory over the Vaqueros by taking advantage of Las Cruces mistakes. The job on the mound was a seven-inning, six-hit performance by Jeremiah Steinert, a former Santa Fe Fuego looking to earn his way back to the Pecos League. Steinert only allowed one Vaquero run. That came in the fifth when Blake Babnick led off with a single and Ephraim Garcia Jr. doubled him in. That made the game 2-1 after the Gears scored in the first on double by Kyle Zimmerman � the second time in two games a ball fell in the middle of three Las Cruces fielders � a wild pitch by Vaquero starter Jeff Goulet and an RBI groundout by Brennan May. 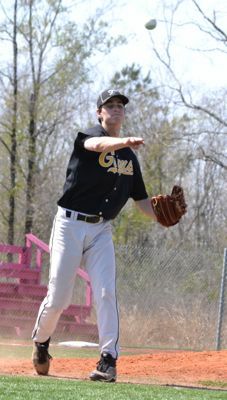 The second and third went quickly on both sides, then, in the top of the fourth, Garden of Gears made it 2-0 when Mark Heil walked, stole second and third and came home on an error by the catcher. 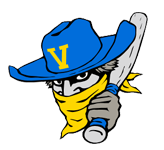 The Vaqueros thought they had closed the gap to one when Carl Johnson hit the first pitch in the bottom of the fifth hard to left field. Johnson seemed to think it had gone over the fence and started into his home-run trot. But the left fielder was signaling foul, and after the home-plate umpire admitted he lost the ball in the high Texas sky, he ruled foul, and Johnson just had a long strike. Las Cruces did close the gap in the fifth with their one run, but the Phoenix squad came back in the top of the sixth when pinch hitter Kyeong Kim, from South Korea, walked, stole second on a contested call, then came home on a single by D.J. Johnson, who went to second on a bobble by the right fielder and scored when Sean Rocky reached on a two-base error. For Vaqueros coach Casey Dill, the difference was his team�s mistakes. 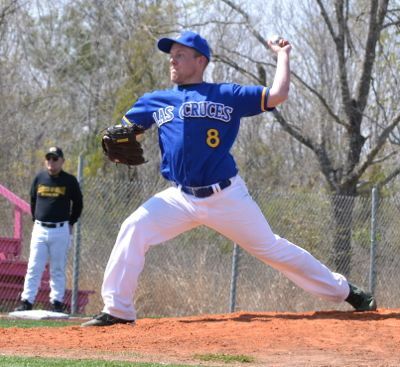 They had to, because the three Vaquero pitchers � Goulet, Austin Carden and Brandon Brown � allowed only three Gears hits. 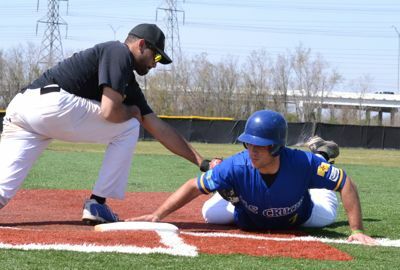 Both teams have a day free from competition Friday � although most will be working out � then get back to action Saturday in a two game set at Coastal Ballpark beginning at 10 a.m.
DJ Johnson applies the tag but not quickly enough as Adam Ziegler is safe. Jeremiah Steinert got the first Pecos Spring League victory. Jeff Goulet started on the mound for the Vaqueros. Jacob Alastra gets a hit. 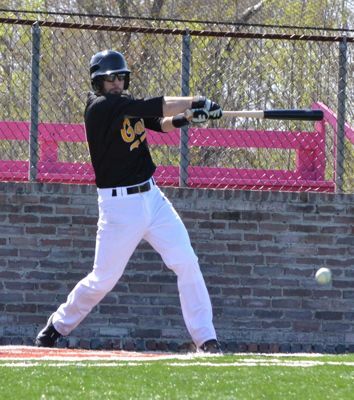 Sean Rolky takes a cut at the ball.